rsizr is a Flash application that lets you resize JPG, PNG, and GIF images on your computer. 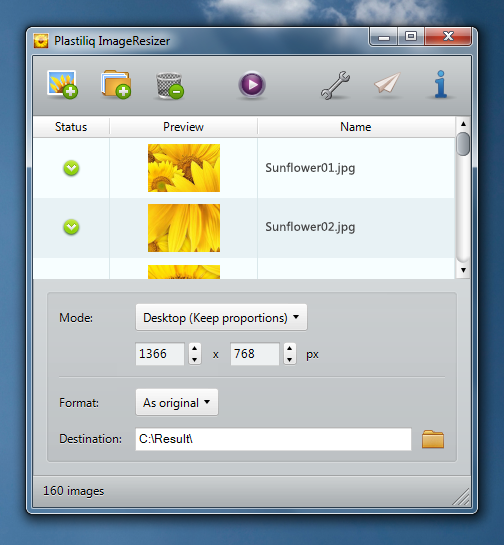 With rsizr, in addition to normal image rescaling and cropping, you can also resize images using a new image resizing algorithm called seam carving (a method of image retargeting) that tries to keep intact areas in your image that are richer in detail. Seam carving is a brilliant image resizing technique pioneered by Shai Avidan and Ariel Shamir.